The 2018 Volkswagen Tiguan performance features were designed for more than just everyday driving – a Volkswagen can give drivers thrills too. For starters, the available 4MOTION® all-wheel drive system distributes power between the front and rear wheels when it’s needed to provide a smooth and controlled ride on wet or dry pavement. 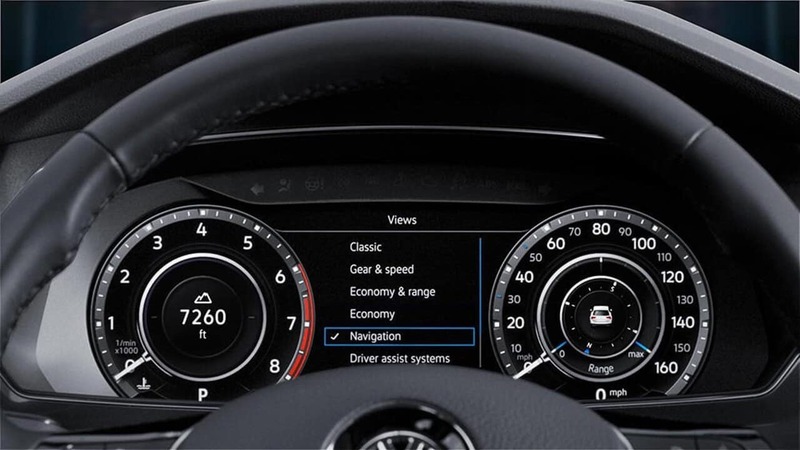 The Tiguan also comes with four different driving modes, tuning the 2.0L TSI engine to fit your needs. Discover the full performance specs below. With the 2.0L four-cylinder TSI engine, you’ll enjoy 184 hp and 221 lb-ft of torque, as well as an EPA-estimated 22 city and 27 highway mpg on FWD models. The 8-speed automatic transmission with Sport mode is built for efficiency and performance, while the Tiptronic mode lets you put the Tiguan in manual so you can control the driving experience. Thanks to the available 4MOTION system that evenly distributes power between the rear and front wheels when it senses a loss of traction, you’ll have an easy time handling the road and weather conditions throughout Haverhill. Choose between Snow, On-Road, Off-Road Mode, and Off-Road Custom driving modes, so you can rest assured your Tiguan is handling Andover with ease. The 2018 Volkswagen Tiguan is a state-of-the-art SUV model that boasts a variety of performance features all drivers can appreciate. When you want to explore the Tiguan performance features in more detail, or you simply want to check out the other features and amenities offered by this model, then be sure to visit Commonwealth Volkswagen, located at 1 Commonwealth Drive in Lawrence, MA. If you prefer to find out more about our current offers or want to schedule a test drive, contact us at 888-257-7247.